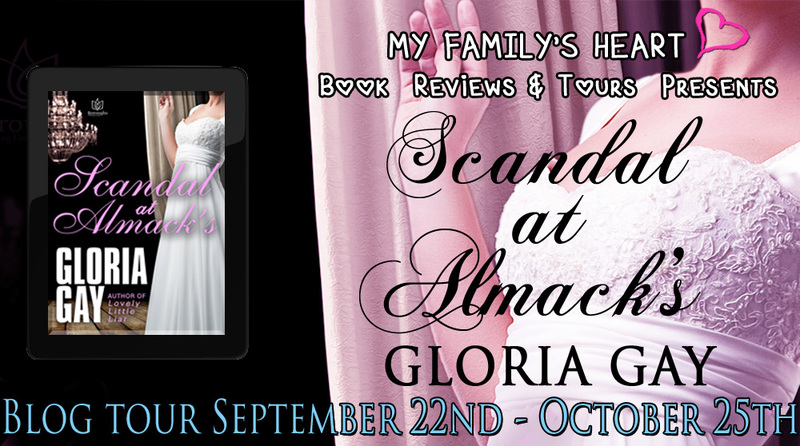 Blog Tour of Scandal at Almack’s by Gloria Gay w/a Rafflecopter Giveaway! Beautiful Jenny Longtree was expected to do her duty and accept the marriage proposal of a man she abhorred, Calvin Hazeldeck, an old and rich mortician whose offer of a marriage settlement would save her family from destitution brought about by her father’s bad shipping investments. Then unexpectedly, Jenny’s dear uncle, Sir Roger Addington, who had been informed of the family’s dilemma, offered his favorite niece a London social season as a last chance to find a husband on her own. But in the whirl of the London season, Jenny realizes that without a dowry her chances of obtaining a marriage proposal are practically non-existent. Then on the last ball of Almack’s, and when Jenny feels that time is slipping away, Lady Jersey, the head patroness of Almack’s, introduces her to Sebastian Billington, Lord Corville. As they dance the waltz, Jenny realizes she has fallen in love at first sight with a man she is likely never to see again. And during the seductive dance with Lord Corville, something happens that has Jenny lying on the floor at Lord Corville’s feet, having momentarily passed out. When she comes to, she finds a sea of faces staring down at her and scandal exploding all around her. Lord Corville was surprised that Lady Jersey had led him directly into a vision of lovely youth. Usually wallflower duty was how it sounded, giving an opportunity to dance a few sets to girls who were in their first season and not likely to obtain dancing partners on their own because they lacked pedigree or were pretty enough but lacked an attractive dowry. The Almack’s patronesses took their duty to young girls in their first or second season very seriously, and in every ball the two in charge could be seen walking about, matching young ladies to reluctant young men. Sebastian seldom if ever glanced toward the wallflower area, but now he regretted it. The moment he gave his gloved hand to this girl and led her to the dance floor, it was all he could do to keep his balance until they began their waltz. Her touch was so sensual, he felt her hand not on his but directly on his groin. A hot frisson coursed along his nerve endings, and his whole body shuddered in anticipation. If he felt so much with only the soft touch of her hand on his, what would he feel with her in his arms? Suddenly realizing where his mind was going, he shook off such outlandish thoughts. He was a bit foxed and couldn’t even remember what Lady Jersey said the girl’s name was during the introduction. He should have skipped that stop at Rothyn’s townhouse, as they’d dipped into bottles of claret before coming here. Of course, it was turning out amazingly easy to keep his promise to his sister Camie. One dance with a wallflower debutante? Why this beautiful girl lacked dance partners was beyond his understanding. She was as lovely and as rare as an orchid, and her scent intoxicated him even more than the claret. He had never felt such jumping sensations as he was now feeling while waltzing with her. Her eyes as she looked at him were sparkling blue aquamarines, and the tingling ripple the mere touch of her hand had started now throbbed along his groin so that his hand tightened on hers even as his breeches tightened. He quickly forced his eyes away from her lithe form, for just a quick glance at her curves unhinged him. They swayed around the vast ballroom, and the lights from a thousand candles and the twirling couples confused him. The lovely girl in his arms became three identical girls who twirled round and round like the racing dials of a mad clock. He heard the waning notes of the waltz as it was coming to its end and felt so dizzy that, had he not held her, he would have lost his balance. He looked into the girl’s beautiful eyes and his gaze drifted downward. Her breasts, the tops of them peeking alluringly from her filmy gown, were so fetching that he wondered when he had ever seen a better pair. There was a small dark mole on her left breast, and a tiny rosebud by it, and so compelling was the tiny beauty mark that he was hypnotized. The music had stopped. He looked into the girl’s lovely blue eyes and wondered why they were wide with alarm, and her voice was loud and clear in the silence that followed the conclusion of the waltz. Her hand on his shoulder slipped away as she fell to the floor, her crumpling body settling softly on his feet. Sebastian leaned down toward her prone body. After a few seconds, the girl opened her eyes. A crowd had rushed forward, and there was a large circle of people around her and Sebastian, three or four deep, looking down with concern. And silence, as everyone just stared. The girl was helped up by two gentlemen while Lord Corville continued to stare, speechless. A twittering of exclamations rose like a deafening wave, and then sudden silence fell again as the crowd waited in suspense for the girl’s reply. 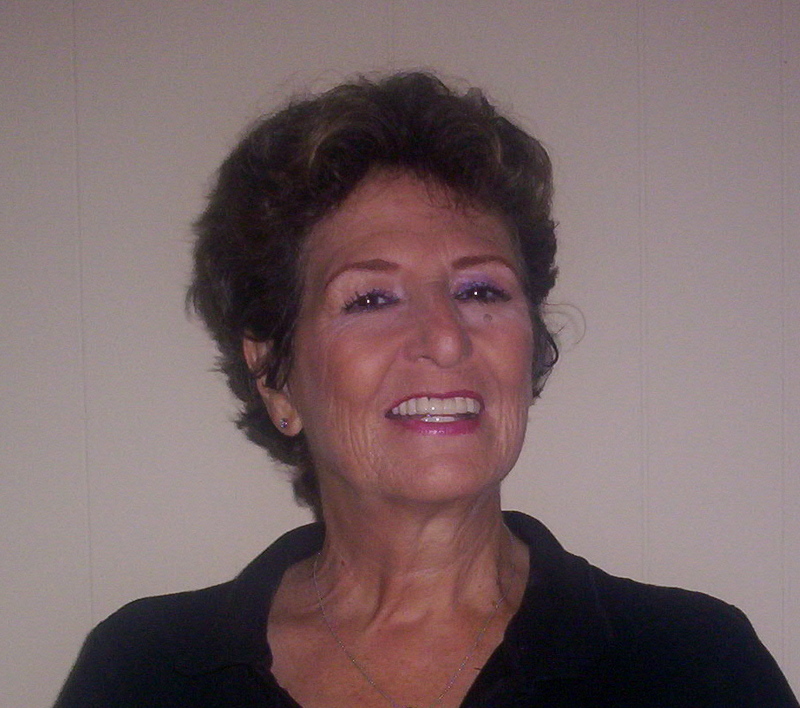 Gloria Gay has lived in San Diego, California the greater part of her life, where she worked as a legal secretary for twenty-five years and as a stringer for a local newspaper. Her heart, though, has always been with art and literature and it was one of the happiest days of her life when she wrote her first book. Boroughs Publishing Group recently published her fifth Regency romance, Lovely Little Liar. 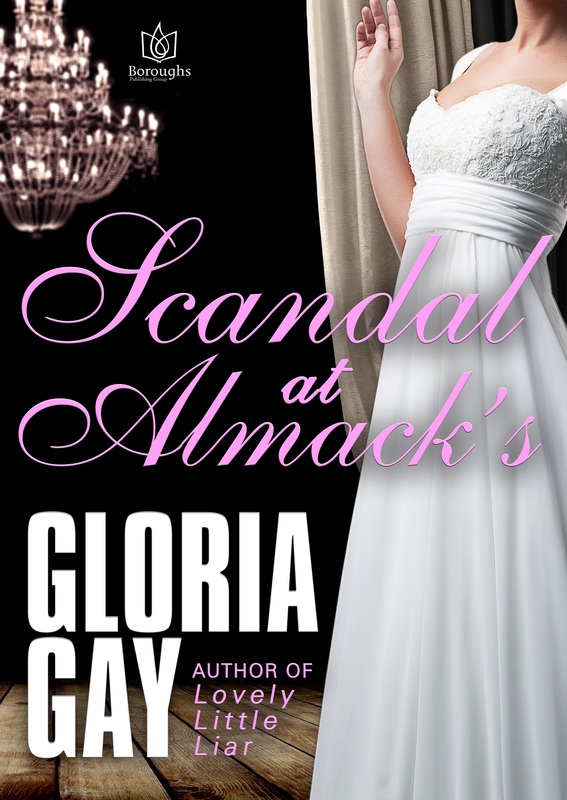 Scandal at Almack’s, with the same publisher is Gloria’s sixth Regency romance. Her debut novel, First Season, earned a four-star review from Romantic Times Book Reviews. She is also the author of Forced Offer, Canceled Courtship and Known to All. She lives with her husband, Enrique, an architect, in San Diego, California, and couldn’t be happier that their children and grand-children live nearby. Thank you so much for a chance to appear here. It’s a beautiful site!